A terrific all purpose bowl and size. 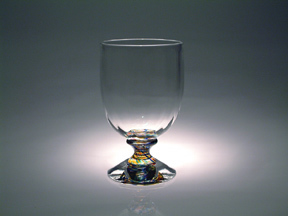 It can be used on its own or coupled with the taller wine goblet and used as a water goblet. Color Choices: Clear with fluted bowl and multi-color specks running up the stem.